We are delighted that a local children’s charity we have supported for several years is set to feature on Channel 4’s ‘George Clarke’s Amazing Spaces’, after the astonishing story behind its ground-breaking learning bus project was picked up by the TV show. 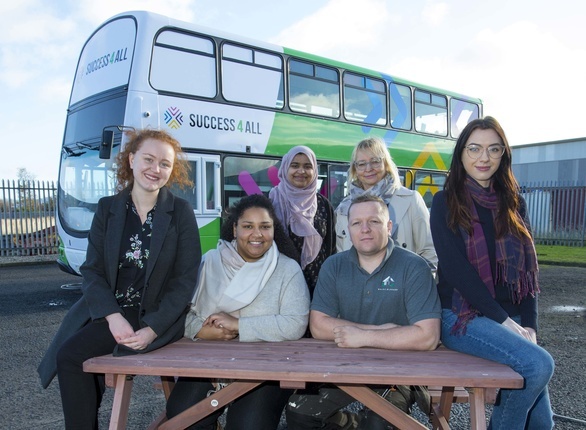 Success4All has realised its dream of creating the UK’s first ever mobile double decker learning bus, equipped with everything a child needs to develop, explore and imagine, after raising £55,000 and completing the ambitious project in just four months. With no money in the bank, Success4All received a phone call to say that Channel 4 was interested in its conversion project, after children’s drawings of a visionary double decker bus were sent to the TV star and Sunderland-born architect George Clarke. However, the show’s filming schedule meant that the charity only had one month to raise the substantial funds required to jump-start the project. Fortunately, the idea sparked interest from North East engineering charity Reece Foundation, which generously donated the initial £30,000 needed to buy a London double-decker bus ready for the first day of filming with George Clarke himself. Following an intensive month of crowdfunding, with significant contributions from the Watson Family Charitable Trust, Muckle LLP, Hays Travel, HTL Cramlington and GLL Sports and Leisure, as well as many other local businesses, the charity arrived at its £55,000 target and at last had the green light to complete the project. With only a two month’s remaining, Success4All stripped, built and painted 1,175 square feet of the bus, with the help of a skilled local joiner – Brian Home of SkillBuild Joinery. The learning bus has now been converted into a state-of-the-art multifunctional learning facility, complete with built-in WiFi, STEM equipment, café and lounge, finished just in time for the new season of ‘George Clarke’s Amazing Spaces’, currently being aired on Channel 4 every Sunday at 8pm. Caroline Afolabi-Deleu, founding director of Success4All, said: “We believe that every child should be able to explore education and enjoy learning in their own way. “We also want to dispel the myth that learning is boring and we are incredibly proud of our inspirational mobile learning bus, because it means that Success4All can reach many more children and young people in communities where suitable facilities may not be otherwise available. Thanks to its learning bus, the education charity is able to take its fun, hands-on activities, such as STEM and computer coding clubs, direct to communities all over Newcastle and beyond. You can watch Success4All’s epic journey on Sunday 10th February at 8pm on Channel 4. If you want to find out more about Success4All or see the learning bus for yourself, it will be on Northumberland High Street, Newcastle City Centre, on Sunday 10th February from 10am – 4pm. 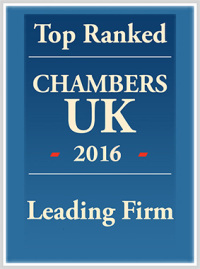 And to learn more about other charities we have supported through our community activities, check out our CSR review or click here.